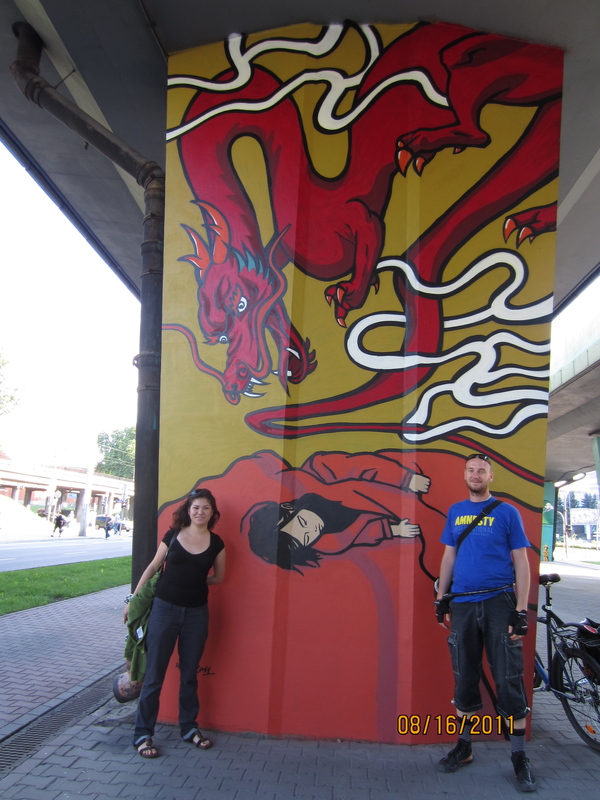 Lucky for me, a few days before leaving for Poland, my friend connected me to a group of young folks in Warsaw who were doing Tibet work there. E-mails flew back and forth and before I knew it, I had a place to stay and promises of nights drinking vodka and “Polish style entertainment.” As I got on my train from Berlin to Warsaw, I suddenly had a very good feeling about my first encounter with the Poles. The plaque says this "Tibet Square" is dedicated to the people who protested in 1989 in Lhasa. First stop: Warsaw. I believe my guidebook recommends that one spend just one day there before leaving for greener pastures. Well, it’s not the prettiest of cities, at first glance anyway. The train station reminded me of many places in India and my old home, Nepal: dark, dank, with modest ceilings just a few fingers above our heads. Not the grand train stations of Western Europe. But it endeared me immediately. I liked that it was a little rough around the edges, that it was still in the process of becoming something else, something better it seems. What’s more, what mattered here was not the buildings (they were neither intimidatingly beautiful and ancient, nor modern and avant garde), what mattered were things on a smaller scale, the people and their muddy little lives. One day, my new friends there took me to the Tibet Gallery in Warsaw. A long section of roadway that the city officially named Tibet Square. Yes, officially, by the city. With a plaque and everything. Maybe it’s impossible for anyone but Tibetans to understand the effect of seeing a space like this, but I kind of wanted to set up a camp there and just live on that concrete island of Tibet. 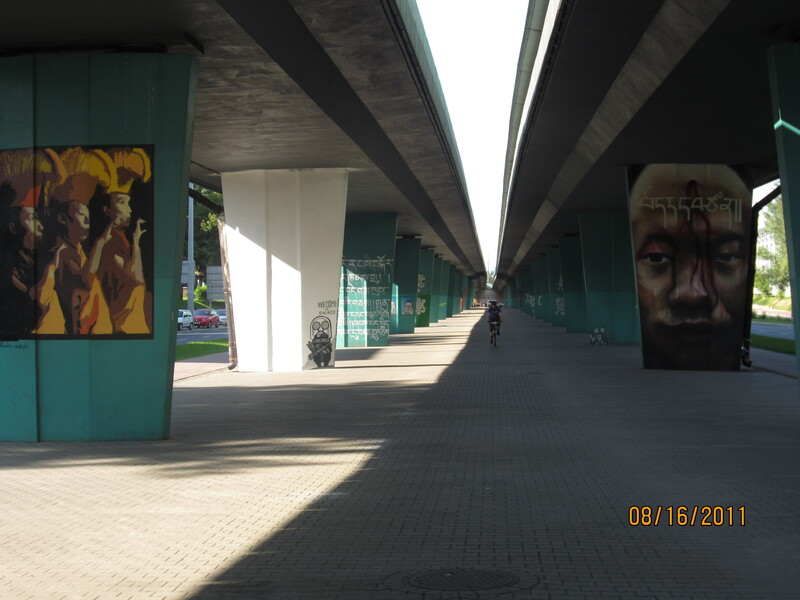 The concrete walls in this area were covered with graffiti art done by Polish and Tibetan artists for our cause. 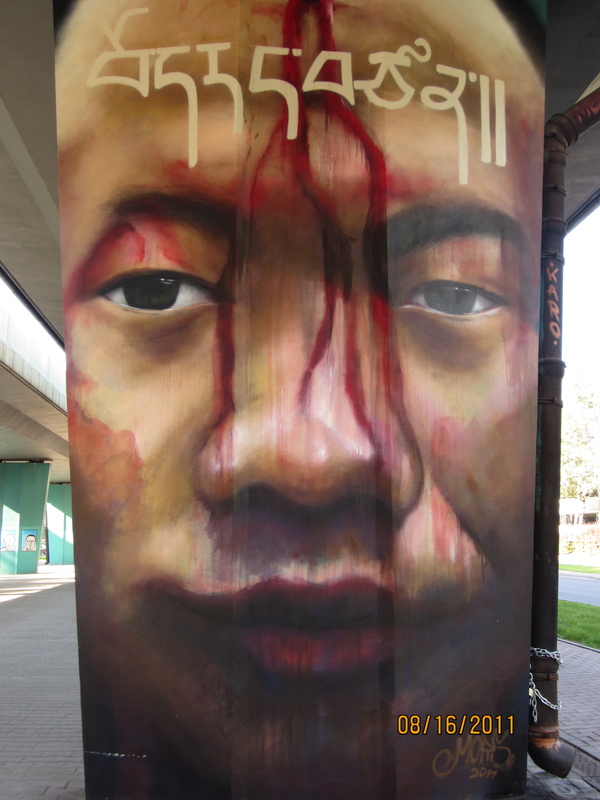 Not a single one of the paintings were defiled or altered – people respected the space and left it alone. I just kept thinking, none of this would happen in North America, or many other places in the world. As I met folks and got to know more about this incredible country, I came to see why there was such solidarity on their part for the underdogs, for us Tibetans. Poland as a state has been invaded by everybody and their mother! It first became a unified territorial entity in the 10th century, but after the 1770s it was a just a rollercoaster ride for this country. Divided up by Prussia, Russia and Austria in the late 18th century, the Polish finally regained their independence after many many revolts in 1918 – over 120 years after first losing it! Oh but the poor Poles, they lost it again thirty years later when the Nazis invaded. But they didn’t give up without a fight there either – 2 months of street battles took place in Warsaw in 1944 with young people from all over taking part. It was unsuccesful, but even today, people in Poland speak of that resistance as the proudest thing in their history. 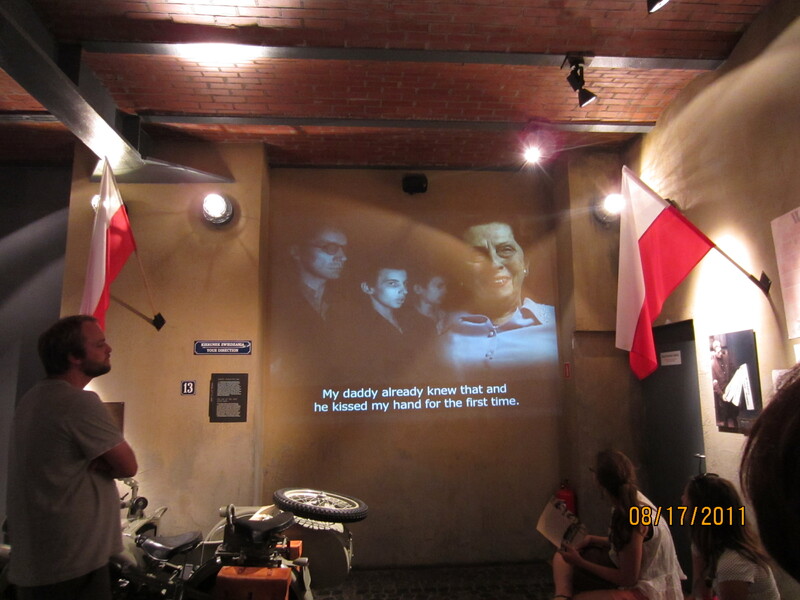 They have a whole museum dedicated to this revolt: The Warsaw Rising Museum. It was full of people learning about their own history as resistance fighters – truly inspiring. Warsaw Rising Museum, the finest museum in the city. But then the Soviets invaded and divided Poland up with the Germans. Once the Nazis fell, the era of communism put Poland firmly behind the Soviet Iron Curtain. It was only in 1992, after the USSR collapsed, that Soviet troups finally began to leave and Poland regained its full sovereignty – after 220+ years of occupations. Phew! Talk about resistance. We can learn a thing or two from this small landlocked country of fighters. Compared to them, our struggle is short so far. And seeing how far Poland has come in just two decades, how educated their people are (with free universities), and how optimistic people seemed about their future…well, it all gave me a lot of hope for Tibet. Next week, my trip south to Krakow, where I visited Auschwitz and Birkenau. Until next time, this is NYCYak. Ghale Peh! 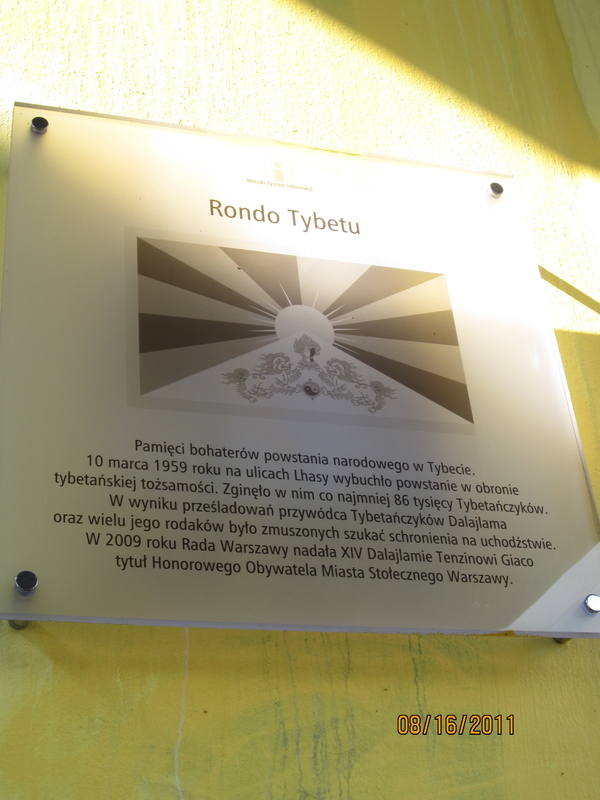 Really enjoyed this… and although I’ve heard how strong the Polish support for Tibetans was, I can’t help but feel humbled that they have a “Tibet Square”. What a wonderful show of solidarity to a people who don’t have a land to call their own. Kudos!